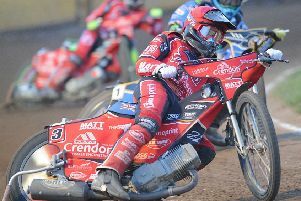 Peterborough Panthers clash against fellow Premier League title-chasers Somerset today (August 31) has predictably fallen victim to the wet weather. Club chiefs have called off the 3pm clash due to a waterlogged East of England Showground track, but a re-staging date has already been confirmed. The meeting between the teams currently fifth and second in the table will take place on Saturday (September 5, 7pm). Promoter Ged Rathbone said: “We thank our Showground landlords and the Somerset promotion for agreeing to a new date so quickly.